The best drugstore beauty products for fighting extra-dry summer skin. Shea Moisture Coconut and Hibiscus Hand and Body Scrub ($9.99 at Target; $11.99 at Ulta; also available at Whole Foods and Target) is an old staple that works wonderfully and is pretty easy to find in a lot of drugstores. If you can’t get your hands on a store-bought sugar or coffee scrub, or you just prefer to DIY, try mixing some turbinado sugar with shea, coconut, or olive oil. You can also add a bit of honey if you want a little extra humectant boost. 3. Lotion Up…In the Shower. My secret for extra extra moisture for my summer skin is to use an in-shower lotion. Not many people know about them, but being the self-proclaimed Indiana Jones of Lotion (I am constantly on the hunt for the next, best one), I’ve been a fan since they were launched several years ago. 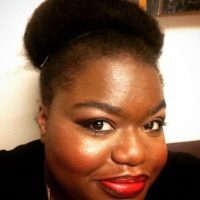 In-shower moisturizers are perfect for people with dark skin like mine that needs a little more help retaining moisture. They’re also really good for if you have dry skin, but don’t like how traditional body lotion feels after applying it. 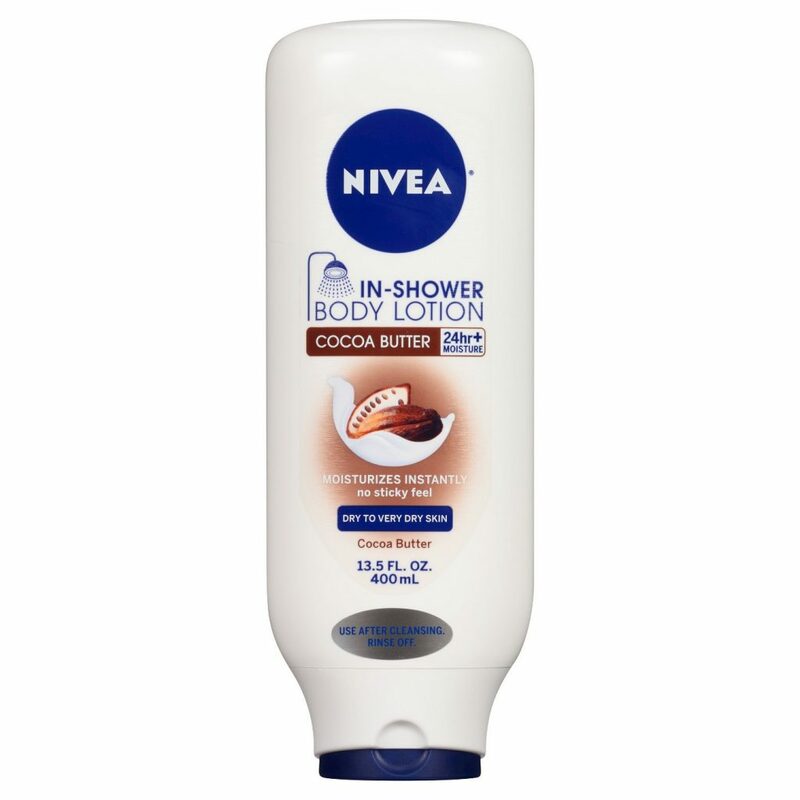 I’m currently using Nivea Cocoa Butter In-Shower Body Lotion ($5.49, Target) and I love the light scent and the fact that it doesn’t leave a film on my skin or in the tub. 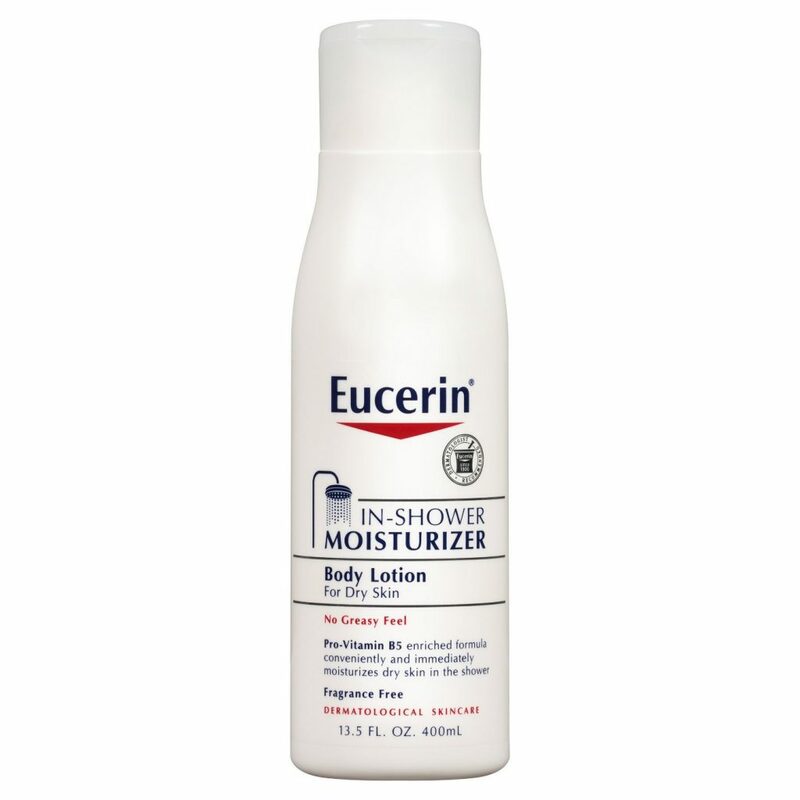 You can also try Eucerin In-Shower Moisturizer Body Lotion which is a little more expensive ($10.99 at Target) but great if you have sensitive skin or prefer unscented body products. Though if you do want to splurge on a lotion, which would be a good place to splurge out of all of these drugstore moisturizing products, I can absolutely recommend one wonderful luxury options in Ro’s Argan Body Conditioner from LUSH ($35.95, Lush USA) is rose-scented and packed with moisturizing butters and oils. Related: Can you tell which of these crazy beauty trends are real? When you exit the shower, be sure to pat your skin dry. Never rub! ALWAYS WITH THE PAT PAT PAT! Rubbing can irritate skin, especially if it’s dry or sensitive, and it also removes some of that essential moisture that your skin already has. I like to finish my summer skin moisturizing ritual with a lightly scented lotion like J.R. Watkins Moisturizing Lotion in Lemon Cream ($9.99 at Target), which actually smells like iced lemon cookies. Yes! If you prefer, I also love J.R. Watkins Moisturizing Lotion in Grapefruit. 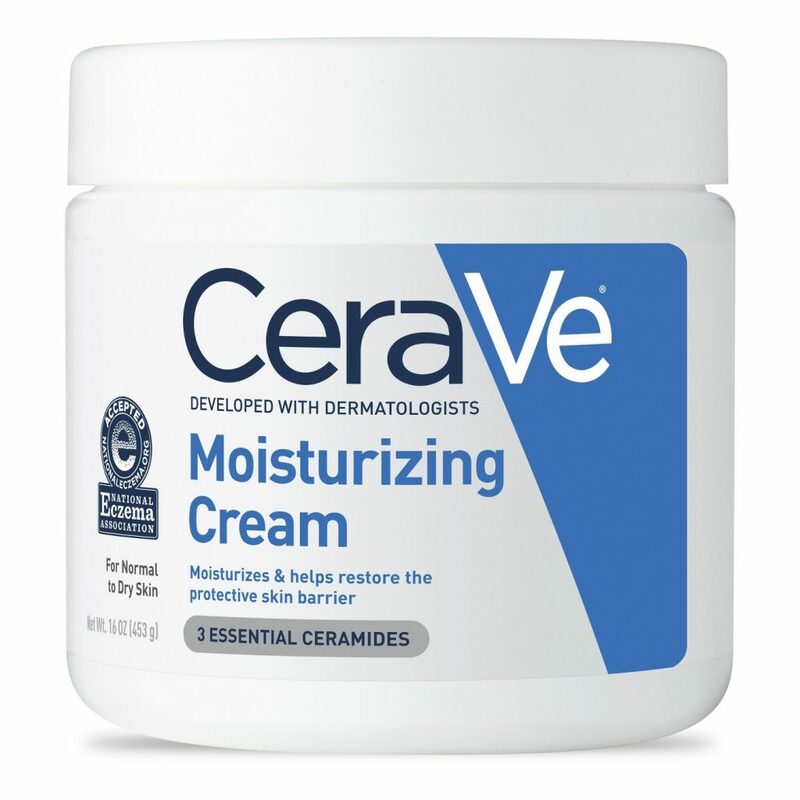 If it’s been really drying weather or if I know I’m going to have a really long day that will show its effects on my skin, one trick is to mix a little CeraVe Moisturizing Cream ($12.69, Target) with the lotion before applying. In the end, I smell like the most tropical of dreams and my skin is as moisturized as it would be had I actually been born in a shea nut. If you have a gold or bronze eyeshadow that you’re not really crazy about, or just have a cheap one that you can part with, crush the shadow into a powder and mix it with some of your favorite lotion. Store it in a travel bottle and you’ll have your own moisturizing body shimmer, without having to pay a ridiculous amount of money for something you will only use occasionally. On top of that, you use this trick to customize your shimmer to your skin tone. 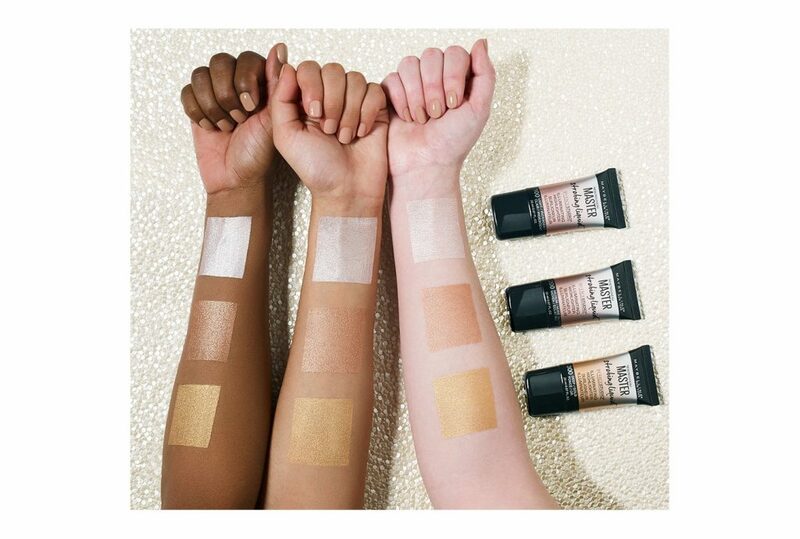 If you don’t have a powder shadow, or want a dedicated product made just for this kind of trick, I recommend Maybelline Face Studio Master Strobing Liquid ($7.89 at Target). You can apply it directly to your skin, or mix it in with your lotion for a more subtle effect. And one more time, I’m going to offer up one big splurge in the soft, moisturized skin department: Check out Nars Monoi Body Glow II ($59, Nordstrom) which is expensive, but takes lotioning one magical step further, combining luxury moisturizing oils with a subtle golden sheen. Either way, you’ll come out gleaming like Apollo himself loaned you a few rays!